12 Days of Giveaways – NuNaturals | Cook. Vegan. Lover. Result:2 The Winner is birdfeed– I love nustevia and that cocoa bean looks awesome! 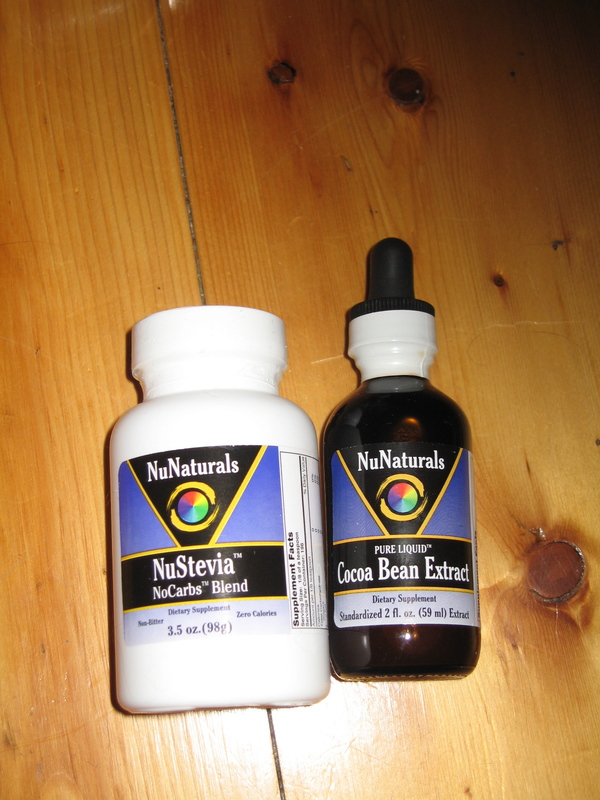 NuNaturals sent me a number of great items two of which are NuStevia No Carbs Blend and Cocao Bean Extract. I have used the NuStevia sweetner packets in my coffee and it’s good – much better then regular stevia packets as it does not have such a bitter taste if you use to much. I also used the NuStevia Baking Blend when my girlfriends and I were baking up a storm (click to see post). If you are intersted in trying these products please leave a comment by December 11, 2009 at 8pm. Sorry this giveaway is only open to US residence. I’ve so wanted to try these but so darn expensive. Thank you so much for the giveaway! I love nustevia and that cocoa bean looks awesome! i’ve been really wanting to try nustevia-since i’m a stevia addict!! Cacao Bean extract? Would love to try that. I’ve never tried NuStevia, although I do enjoy the SweetLeaf packets in coffee and tea. And the Cocoa Bean Extract sounds awesome!